Smok E-Priv Kit is powered by dual 18650 batteries to fire up to 230W. 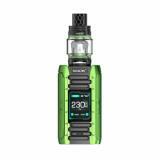 It has several protections to ensure safety and 1.45-inch screen to help you manage vape data. 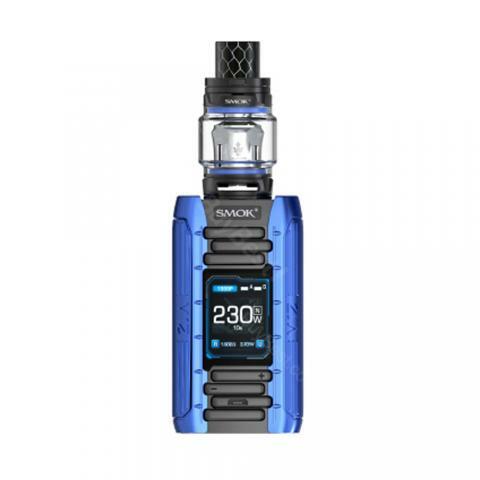 Smok E-Priv Kit, which is powered by dual 18650 batteries to fire up to 230W, has multiple protections that include intelligent atomizer recognition, short circuit protection, puff monitorning, 10 seconds cut off, over-heating protection and low battery warning to ensure high performance. In addition, easy-to-read 1.45-inch high-definition TFT screen will show vape information and anti-slip ring can prevent item form damage. It has three output modes to give you different flavor. Here are two choices of tank capacity-8ml and 2ml. Snake-grain drip tip offers increased airflow. The engine-like appearance is attractive enough. 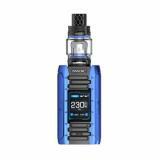 • Three-month warranty for Smok E-Priv Kit. 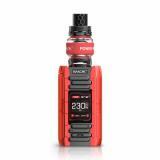 • Quick link: Smok E-Priv. This new gadget definitely is a successful outcome of high-tech. 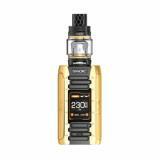 it looks really cool and the sophisticated settings certainly will bring you an excellent vaping experience. It is the first time that I try this brand. It is really great. I especially love the displaying screen, which just makes everything way much easier. I don't know how to describe all these good qualities that this kit possesses. It is just amazing in all aspects. Отличная сигара! Магазин просто супер! Всё в лучшем виде. Оригинал. Обязательно буду покупатьещё.